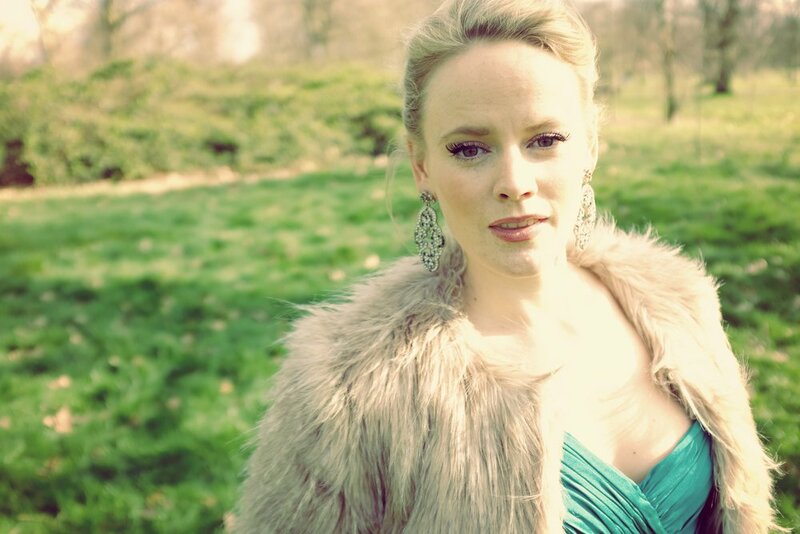 March News: Royal Opera House, in the press and a last minute Mimi! It was a real pleasure to be a part of the Royal Opera House’s ‘Open Up Project’, their redesign has made the whole space feel so fresh and inclusive. If you’re around Covent Garden do go and check our their new season of lunchtime concerts - grab a coffee in there and see what, and who, you discover! The programme included our most loved duets - Donizetti’s feisty ‘Caro Elisir’ from L’elisir d’Amore and Puccini’s timeless ‘O soave fanciulla’ from La bohème as well as my favourite arias, the infectious ‘Tiger!’ from Zaide and Manon’s captivating ‘Je suis encore’. Always such a joy performing alongside the dream team working with Somi, Ben and Kieran again too! 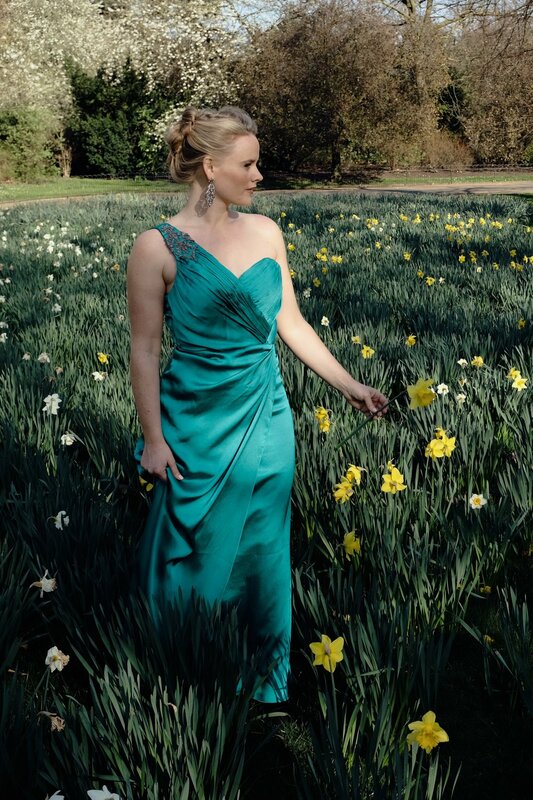 Don’t forget to check out the Royal Opera House’s Friday Rush ticket scheme and their amazing line up of events.. perhaps you’ll join me in the audience for ‘Insights: In Conversation with Diana Damrau’ on 17th April! This ground-breaking space opened in Autumn 2018 to bridge the gap between art and science. Joined by tenor Aidan Coburn we added a little musical spice to Team London Bridge’s AGM - for the year they are leading with culture to help build new relationships amongst their community. Read more about the Science Gallery here - discover how to make a ‘Bee Hotel’ or attend one of their Friday Lates! It’s been a year since I sang the role of Mimi for King’s Head Theatre’s West End transfer of La Bohème at the Trafalgar Studios (check out the photos here!). Fast forward to March 2019 and Opera Up Close is taking their production of Puccini’s timeless classic on a National Tour to celebrate their 10 year anniversary. Struck by a series of unfortunate events, all three of their Mimis were unable to perform for this sold out performance at the Stephen Joseph Theatre. So they got in touch! Notified at 8am the day, the score (with a different translation from what I did the previous year!) was emailed over to me. Armed with my iPad and grateful to technology for how much easier it made it, I spent my London to Scarborough train journey reacquainting myself with the music and getting my mouth around the new translation! We ran Mimi’s sections in the afternoon (after an 1.30 hour train delay) - it was real team work as I sang from the side whilst senior producer Amy Novadnieks walked the part onstage. Singing the role again was an utter treat, Puccini’s writing is so powerful and it was both surreal and heartbreaking to watch Mimi fading away on stage as I sang her final few lines. It was an exhilarating and exhausting day, but I was delighted with how the performance went, all the OUC team were so welcoming it was a pleasure to join them. Read more about the production here. We even had a reviewer in! Post show selfie with all the Opera Up Close team! 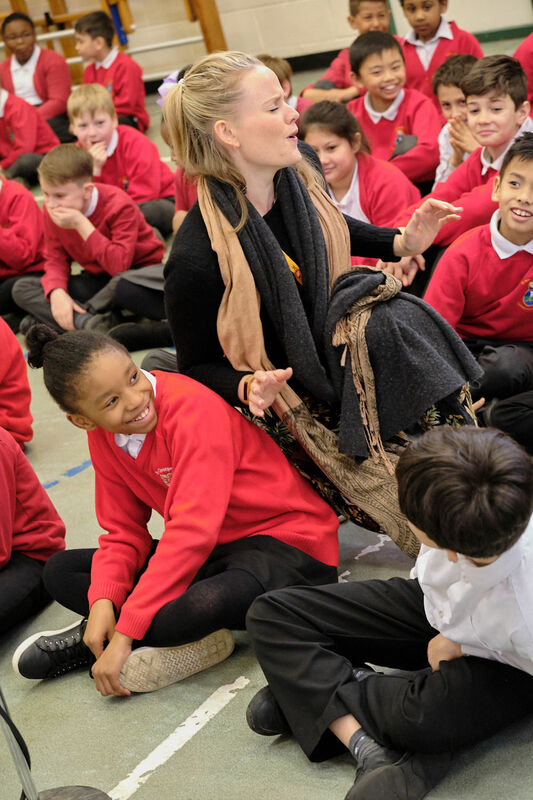 Almost a year ago I worked with Into Opera on their ambitious A King’s Ransom, working alongside 160 children and the Britten Sinfonia. This year they have launched their next big commission, again working with Patrick Hawes who was Classic FM’s Composer in Residence. The story of Gobbolino is well suited for an opera and, now that the libretto is finished, we spent two days working with pupils at Sprowston Junior, Heartsease Primary, St Mary and St Peter Catholic Primary to explore how you begin to compose music and find the right voices for characters and the story. One of my highlights was improvising the ‘sea witch’ to a chorus of children and various instruments lead by conductor John Andrews! My few days in Norwich was a real trip down memory lane. The first opera I ever did was with Genevieve Raghu (Founder and Artistic Director of Into Opera), it was whilst we were at Warwick University, a production of Purcell’s Dido & Aeneas at the Actor’s Church, Covent Garden. I also had time to grab a beer with my buddy Jack Lowe, Artistic Director of curious directive a company which focuses on theatre through the lens of science. I worked with curious directive for over 5 years (on Your Last Breath and Return to the Silence to name a few) and have a lot to thank them for my theatrical education, learning so much from them about devised and physical theatre and how powerful a truly collaborative rehearsal room can be. Gobbolino goes on a lot of different adventures which for a child’s attention span is perfect. Building a career in the performing arts takes time - and it doesn’t come without its financial costs, not only whilst training but also in the years after you graduate. 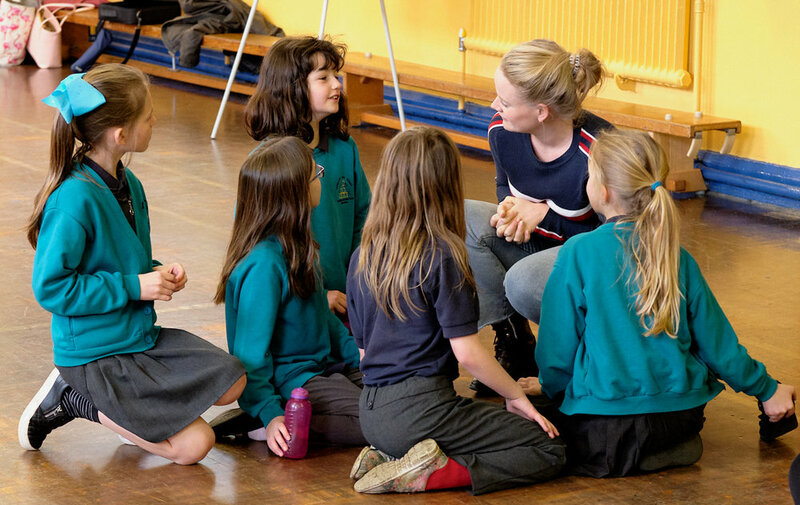 The Carne Trust has been supporting young artists for over ten years and has helped 180+ individuals and groups working in opera, theatre, film and classical music. But more than that, Philip makes time for those who he supports - offering advice, a sounding board and that sense that someone is looking out for you. It was a wonderful celebration and a great way to connect with may other young(ish!) people who have Philip and Chris to thank for helping them along their journeys. We had such warm reviews from our evening this month, these are some of my favourite comments… read the rest here (we now have 350+!). It’s one of my favourite parts of working with Airbnb - having such close contact and feedback from our guests. Adored spotting Justine sketching away on the front row of DEBUT at Shoreditch Treehouse. Longborough Festival Opera - booking now open! 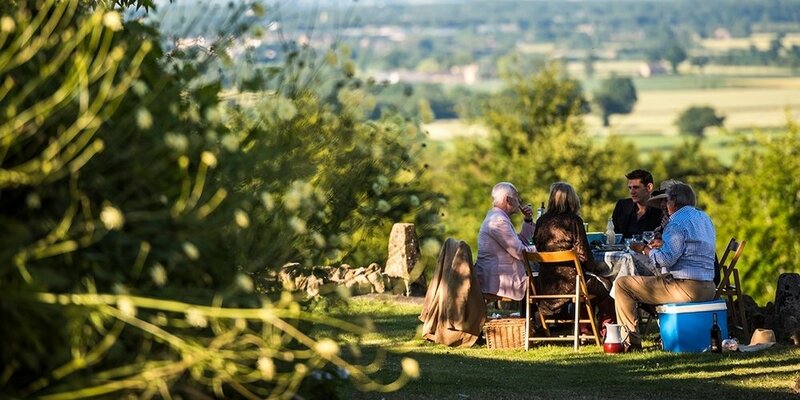 This summer I look forward to making my debut with Longborough Festival Opera - this intimate 500-seat theatre set amidst the rolling hills of the Cotswolds looks idyllic - and I can’t quite believe I’ve never been before! My great uncle Edgar used to love attending the festival, so I’ll be thinking of him when I work there this summer as Destino in La Calisto (it’s a really stellar line up!). It’ll be a family affair as my wonderful Mum, or Mama Holmes as she’s usually known, will be celebrating her 60th birthday at one of the shows too! Tickets are very reasonably priced, from £35 - £85 and they also do a deal for Under 35s. Book your tickets here - and do let me know if you’re able to make it! If you’ve been to any summer opera festivals before, you’ll know the deal, and if you haven’t you’re in for a TREAT! Think of it as a whole day out, bring your best picnic, favourite fizz (and wine if you’re like me!) and settle in for a day of relaxing in the sun, sublime music and an unforgettable day out! When I first decided that I wanted to be an opera singer I was at university and hadn’t really experienced much opera… at all! Within a month I booked to see English Touring Opera’s triple bill at the Warwick Arts Centre (we were very lucky to call this our university home), catching my brilliant friend Paula Sides as Susanna in The Marriage of Figaro, I also saw Don Pasquale and A Midsummer Night’s Dream. The week after I also saw Elīna Garanča as Carmen in Warwick’s cinema, Live from the Met (in truth, only the first 2 acts as I had to run off for a West Side Story rehearsal!!). I was ABSOLUTELY CAPTIVATED. That summer, before applying to music conservatoires, I got a subscription to the ‘Met Player’ and watched almost an opera a day over the summer. I’ve now returned to their amazing subscription (you can get a weeks free trial if you’re interested!) and have a feeling this may become a feature of these new monthly updates! For singers it is, of course, amazing to watch the greats live in performance, but it’s also incredibly useful to watch them up close to study their jaws, to see their stage craft and to see which of them manage to do the impossible - make a performance believable to the audience sat over 100 metres away (I guess!?) as well as the ones - like me - watching at home, just inches from their faces! If you’ve taken the time to check out this post, please do leave a message - I’d love to hear from you! Perhaps about what your musical passions/discovers of the moment are or if you have any questions etc.. or just say hi!